37 SEO tips and hints for 2012 released! 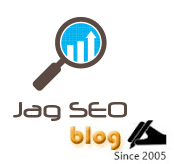 SEO tips changes and also gets updated day by day. Here is a list of SEO tips that can work for 2012. (1) Create a mobile site and build it search engine friendly OR make your existing site mobile friendly..
(2) Include G+ in all your webpages. (3) Have complete profile information on Google plus / Google profiles and link it from your webpage. (4) Get G+ for your webpage from reputed persons. (5) Get natural links from readers by writing quality content. (6) Add Facebook like and share buttons to your webpage and promote through social networks. (7) Include rich snippet to your web pages and indicate through rich snippet form for validation. (8) Write quality content for users and not for search engines. (9) Do not get links from paid directories without "nofollow" links. Go for paid directories only for traffic and not for ranking. (10) Include your business information in Google places. This is the best place for getting local search traffic. (11) Have monthly press release with right content and links. (12) Participate in related forums. Engage posters and get engaged too. (13) Do blogging and start valuable commenting on follow link blogs. (14) Write keyword rich text in alt attributes. Especially on the images that are on top of the web pages. (15) Get users reviews if you have a selling page and make sure that rich snippet works. (16) Work on the low positioned search keywords that you see in analytics. (17) Analyse webmasters tools and work on the pages that generate impressions and not clicks. (18) Include all open WebPages in XML sitemap and inform Google & Bing through webmaster tools. (19) Optimize your page title with search keywords only when you have unique content. (20) Optimize your WebPages with right unique Meta description that speaks short about the webpage content. (21) Add H tags (H1, H2, H3, H4, H5 and H6) towards the page heading and sub headings without keyword stuffing. (22) Have text links in header and footer of the WebPages. (23) Add a sitemap to a website. (24) Add breadcrumbs to the WebPages. (25) Have one homepage for a site. Redirect http://yourdomain.com to http://www.yourdomain.com and http://www.yourdomain.com/default.html to http://www.yourdomain.com. (26) Make sure you balance keyword frequency, keyword prominence and keyword density. (27) Make SEO friendly URLs with keyword rich page names. (28) Use hyphens (-) instead for underscore (_) for web page name. (29) Have CSS (Style sheets) in external file. (31) Make sure that the site loads fast. (32) Have the home page size (KB) to the minimum. (33) Use < p > tags for page contents. (34) Use < b > tags for important texts in contents. (35) Do link building with trusted directories. (36) Get links from reputed person’s social media profiles. (37) Always be a leaner of SEO. Keep following this page. I will be adding more SEO tips for 2012 as I derive from practical experiences and industry updates.